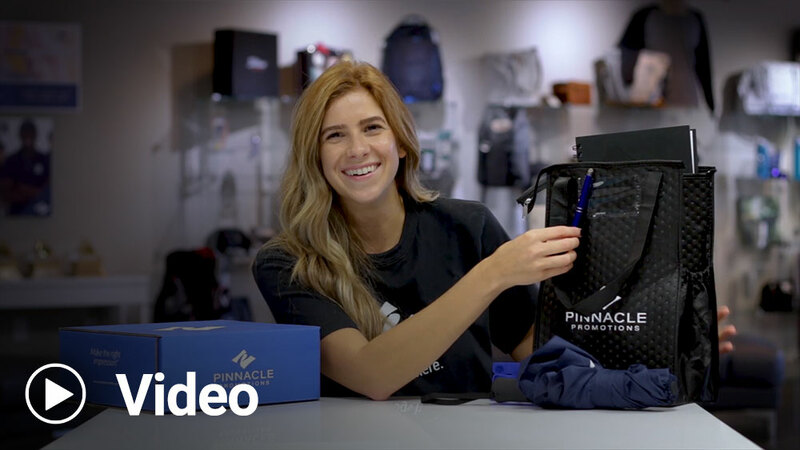 Merchandising Manager Sarah is back with her favorite products to make up an awesome employee onboarding kit. Love the video. Very informative and entertaining. Way to go Sarah! Someone in the advertising world is going to steal Sarah away because she is priceless as a marketeer! Hi Wil! We can certainly have a member of our sales team make some suggestions if you’d like. I like this idea, not just for new employees but for employees that have been with us. How much for something like this, let’s just say what you had in the bag itself, average cost? Do you send any samples? 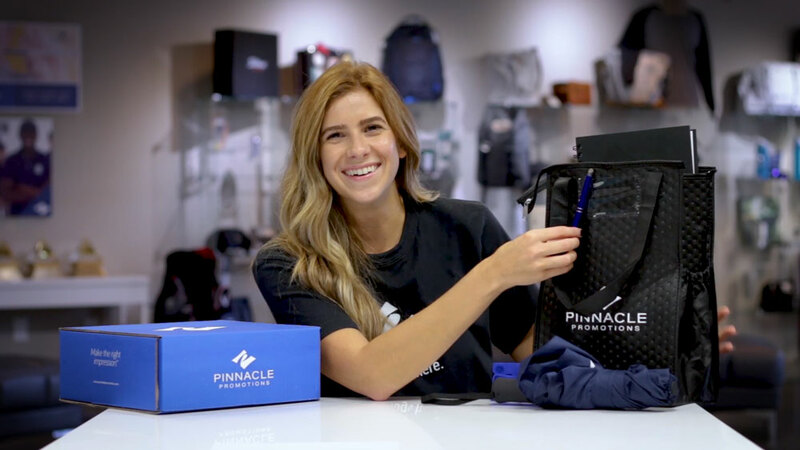 We would love to see all that Pinnacle has to offer!